Sorting through the samples from Canadian National Parks has begun and this year our focus was on remote National Parks. 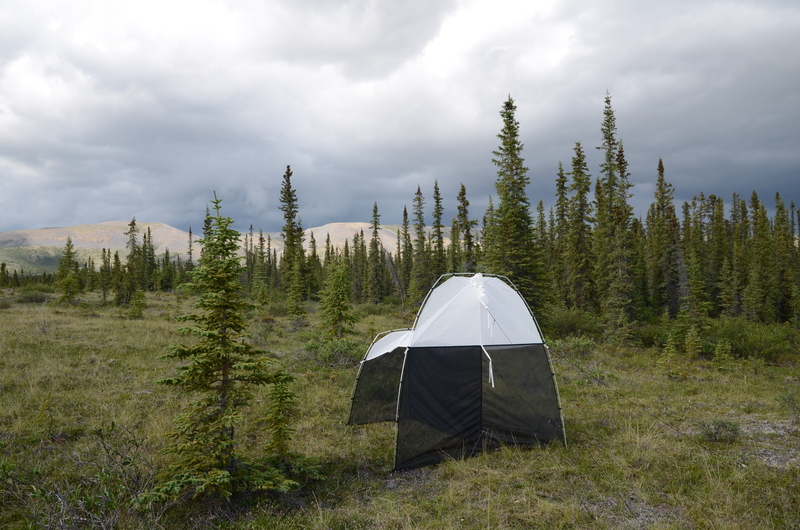 Getting our traps to Parks Canada staff in remote locations was an interesting challenge. We use ethanol as a preservative and shipping this flammable liquid to some of our parks was not possible. We sent them instead RNAlater, a non-flammable, water soluble solution that can preserve our specimens as well as the DNA. We had not tried this method before, so it would be an interesting test as well. Auyuittuq, Quttinirpaaq, and Sirmilik National Parks received the RNAlater. 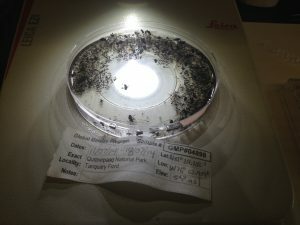 Malaise trap sample from Quttinirpaaq National Park. Lots of flies! I was especially excited about seeing what we collected at Quttinirpaaq National Park. It is the most northern park in Canada on Ellesmere Island at the top of the world. 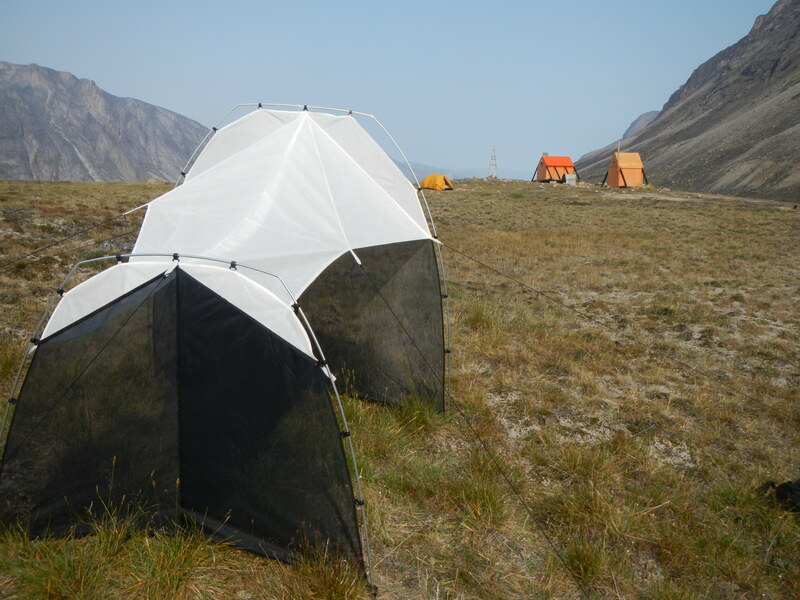 We sampled at two sites, Lake Hazen and Tanquary Fiord which are characterized as lowlands with wet tundra meadows. Lake Hazen is the world’s largest freshwater lake north of 74°N, at 540 km². Most of the rest of Quttinirpaaq National Park is an arctic desert. Auyuittuq National Park is located on Baffin Island on the edge of the Arctic Circle and is a transition zone between High Arctic and Low Arctic vegetation, with only 15% of the park covered in vegetation. Sirmilik National Park is also on Baffin Island and includes Bylot Island, a Migratory Bird Sanctuary. We sampled on both islands. 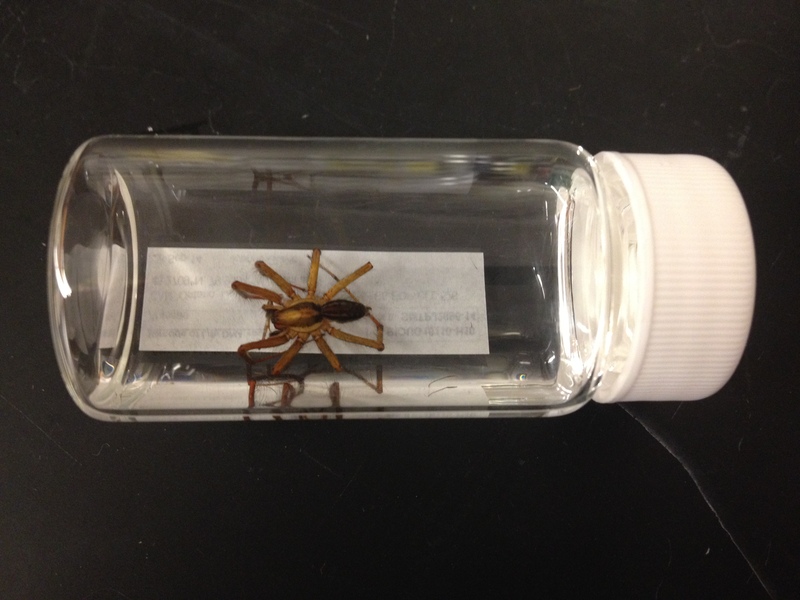 We developed a protocol for sampling the specimens that had been preserved in RNAlater. We found that the RNAlater precipitated when in contact with ethanol, so we needed to rinse our specimens with water before adding them to our typical workflow. In northern locations the vast majority of insects are flies, so it was no surprise to me when I poured out the bottle into the petri dish that there were lots of flies in it. Looking more closely through the microscope I also found spiders, wasps, mites, moths, springtails and caddisflies. 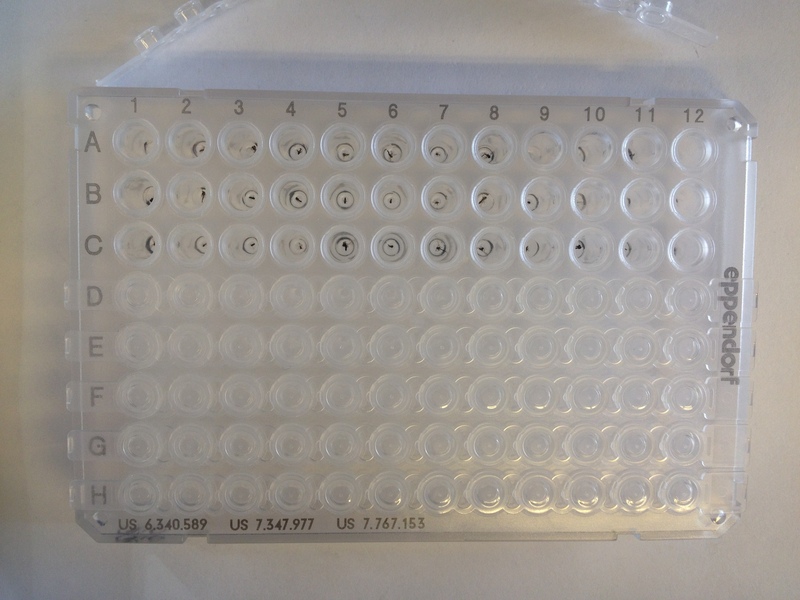 The samples from these parks are now in our DNA lab and will get DNA sequences in the coming weeks. I am currently working on another northern park, Nahanni National Park. 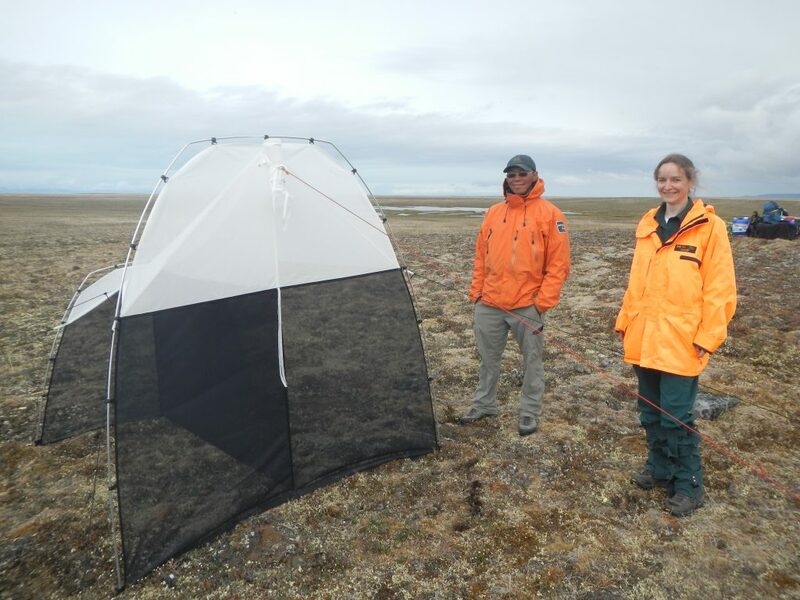 The rest of the team is also working on these samples and we have already completed Aulavik National Park, Gwaii Haanas National Park Reserve, and Ivvavik National Park. The Collections team has worked hard the past 2 weeks sorting and preparing samples collected from schools around the country for this fall’s School Malaise Trap Program. Our first step was to count the specimens in each sample bottle and our grand total from 59 schools was 61,052 specimens! Our team then sorted through all those specimens to choose a select number from each school to represent the diversity found at all locations. 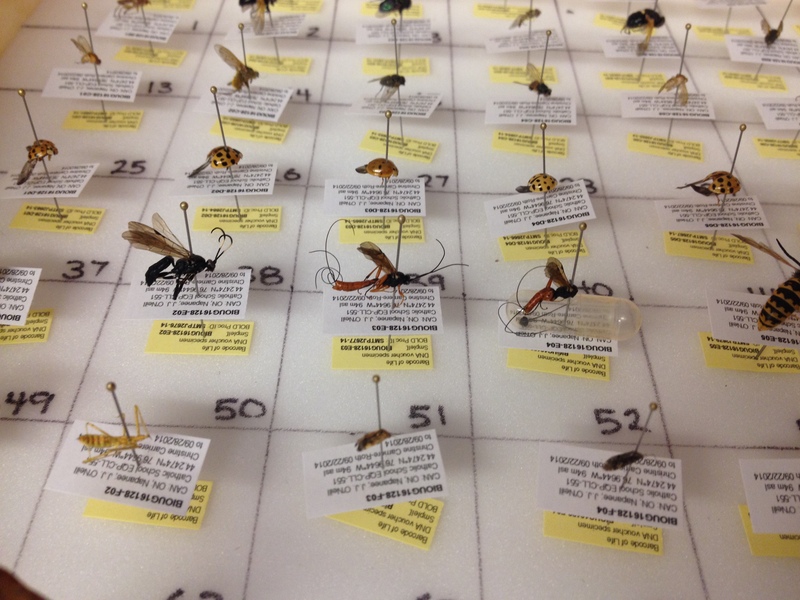 We choose 16,045 specimens for DNA barcoding. There was plenty of diversity of organisms found, ranging from 5 classes of animals – Insecta (insects), Arachnida (spiders, mites and their relatives), Gastropoda (snails and slugs), Diplopoda (millipedes), and Collembola (springtails). Within the insect group we revealed 14 orders including the more common Diptera (flies), Hymenoptera (wasps, bees, and ants), Lepidoptera (moths and butterflies), Coleoptera (beetles) and Hemiptera (true bugs). Some uncommon insects found were one odonate (dragonfly) from St. Ignatius of Loyola Catholic Elementary School in Guelph, Ontario and one plecopteran (stonefly) from Carleton North High School in Florenceville-Bristol, New Brunswick. 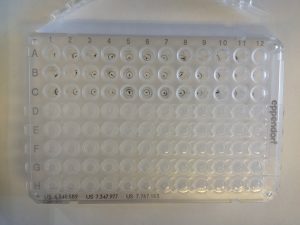 The next step is the DNA barcoding process in the lab where DNA is extracted, amplified and sequenced to give us our barcodes for each specimen. We target a specific piece of DNA that can help us identify what we found. The sequences are uploaded to our online database BOLD and compared to known sequences to confirm identification of the specimens. Results will start pouring in the next few weeks… I wonder what school will have the highest diversity? What school collected the most specimens? Who discovered a new species?